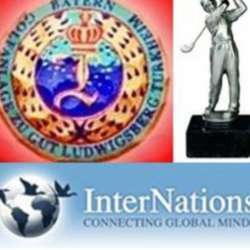 I´d like to invite you to the 6th ROYAL INTERNATIONS GOLF EVENT. On above mentioned date the Protected content opens its doors & greens for INTERNATIONS to conduct our tournament on royal soil. The city of Tuerkheim, once a sleeping berth for King Ludwig of Bavaria on his way to Lake Bodensee, has therefore a nice palace from 19th century and an old knight manor, housing today the GOLFCOURSE ZU GUT LUDWIGSBERG (Manor on King Ludwigs Hill). Meeting point will be Protected content All information like birdie books, lunch package, Course Information of the day, scorecards, … will be handed over there. Additionally it’s the best place to socialize, the later on ceremony and food where the sponsored cup is handed over by the manager (he is very international, too). - Hcp up to 36 for max. 20 players. - "PE" or "Platzreife" is a prerequisite, playing at least Hcp 36 or better, however; International proficiency certificate are welcome and accepted. Greenfee, food after tournament and finally: The cup! The first 20payments will be recognized only. Please sign in only, when others can count on you and drop out if you realize you won´t match the terms and conditions to give others a chance to be part of the competition. Invoices will be distributed approximately 3 weeks prior event. Participants will be excluded from any ongoing planning and conduction not paying 8 days in advance by the very latest.